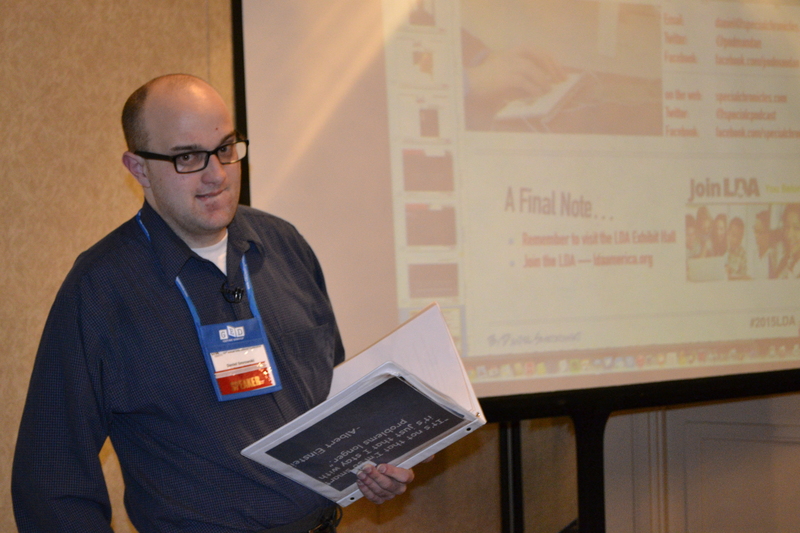 On Feb. 19, Daniel Smrokowski, 26, of LaGrange spoke at the 2015 Learning Disabilities Association Conference at the Hilton Chicago Hotel. Daniel was born a ‘micro-premie’ and was diagnosed with learning disabilities and a speech disorder early in his life. He has dealt with a lot of developmental challenges his whole life, but has never let these challenges stand in the way of his goals and his dreams. Daniel graduated from Roosevelt University, Chicago, in 2012 with a Bachelor of Arts degree in journalism and was the recipient of the 2012 Matthew Freeman Award for Social Justice for his continuing efforts via media and reporting to give people with disabilities a voice. While in college, Daniel developed his own podcast called Special Chronicles. The purpose of the podcasts was to give a voice and respect to people with a disability. 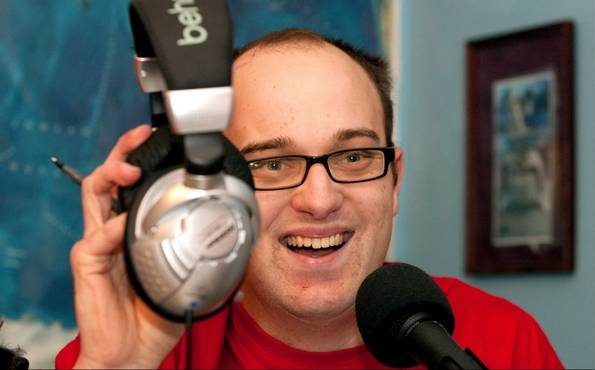 He started podcasting in 2008 while at Roosevelt University as a way to inform and inspire listeners about people with special needs. Since then, “Special Chronicles” has grown to be a non-profit company with a large listener base and broad support group. Podcasting has allowed Daniel to reach out to a global community of listeners. Over the past six years, through his speeches as a Global Messenger (ambassador for Special Olympics) and through his writings and podcasts, Daniel has highlighted various significant topics including disability awareness and education for people with autism, Down syndrome, cerebral palsy and learning disabilities. He has done numerous speeches and podcasts on the “R-word” and respect, telling his own story of bullying and challenging times during his childhood. Daniel has reached out to Special Olympics leadership such as Tim Shriver, Chairman of Special Olympics; Janet Froetscher, CEO of Special Olympics; Rob Johnson, CBS-2 Chicago; Caroline Shriver and many other community advocates, leaders and experts on individuals with a disability. Additionally, Daniel has interviewed countless individuals with varying special needs, giving them a chance to share their story and inspire others through their determination and perseverance. To learn more about Daniel and listen or subscribe to his podcasts, visit his website – specialchronicles.com.